In keeping with the federal government’s ongoing effort to cast state militias in a sinister light, ABC has given the go-ahead to Hollywood darlings Lorenzo Di Bonaventura and Dan McDermott to produce a “drama” demonizing a fictional Texas militia. 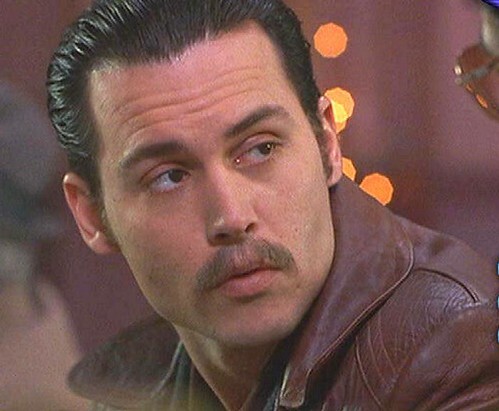 Donnie Brasco of the patriot movement. Donnie Brasco is a crime film based on the true story of Joseph D. Pistone, a FBI undercover agent who infiltrated the Bonanno crime family in New York City in the 1970s. In the fantasy world of Hollywood’s liberal intelligentsia, state militias are a criminal threat requiring FBI undercover work. It looks like the lead scribe on the project, Rich D’Ovidio, consulted the ADL and the Southern Poverty Law Center when he wrote the script. Realism is not Hollywood’s forte, but if it were the Donnie Brasco character, Nick Keating, would be a FBI agent provocateur choreographing dim-witted patsies into plotting lame terror plots busted in the eleventh hour and exploited by the FBI and the government to push a flaccid domestic terror propaganda narrative. It looks like Founding Fathers will be another schlocky corporate media cheap shot along the lines of Rachel Maddow’s The McVeigh Tapes: Confessions of an American Terrorist based on the alleged confession of the government agent McVeigh, one of America’s most notorious patsies. Founding Fathers is not about drama or primetime entertainment. It is about continuing and amplifying the government’s domestic terror narrative focused on its most politically dangerous opponent – the patriot movement now characterized as “rightwing extremism” by the Department of Homeland Security.